When planning a vacation, Poland is rarely a country that tops the must see destination list for most. Especially when Europe is full of so many remarkable destinations, but in actual fact, you should make your it a priority to visit Poland. Poland happens to be a country close to our hearts, but even were it not for the personal connection to the country, it would be a stand out as one of my favourite countries to visit. And don’t be fooled into thinking a quick holiday to Poland will suffice. Nope, it’s deserving of much more than a short stopover when you visit Poland. So let us give you 12 reasons to go to Poland for your next holiday. There is so much history! A visit to Poland means a chance to learn so much about this country and what has at times been a very tragic history. If you enjoy a country with an interesting background, this is a huge reason of why to visit Poland. There is no doubt about it, they have been through a lot over the decades and have come out strong at the other end. 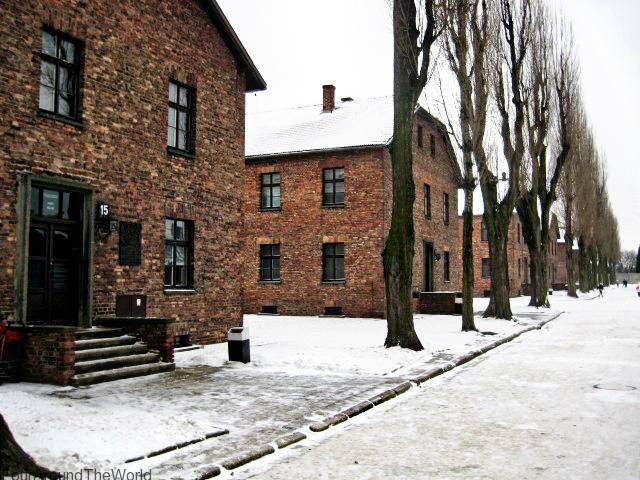 From the feeling of disbelief you get wandering the Auschwitz – Birkenau Museum and War Memorial, to the confronting displays at the Warsaw Rising Museum. You will definitely feel a lot of emotion when you visit these places. But not all of Poland’s history is so dark. There are beautiful palaces, ornate churches and some of the most picturesque towns in the world. There is significant historic events, both good and bad that are definitely worth learning more of and seeing with your own eyes when you travel to Poland. Poland is massive. A lot of people forget that. It happens to be the 9th largest country in Europe and with size comes variety. When you visit Poland, you are not just getting town squares and historic architecture. You also get beaches and forests, salt mines, wildlife and the breathtaking Tatra Mountains, plus a whole lot of cities to explore. Again, Poland should not be underestimated and the fact that you can experience so many different things in the one country is an essential reason why visit Poland! It also means you need more than a couple of days to fully appreciate this country. You won’t really see much in a couple of days anyway! A couple of weeks would be better spent getting acquainted with this Eastern European gem. Don’t go to Poland on a diet. 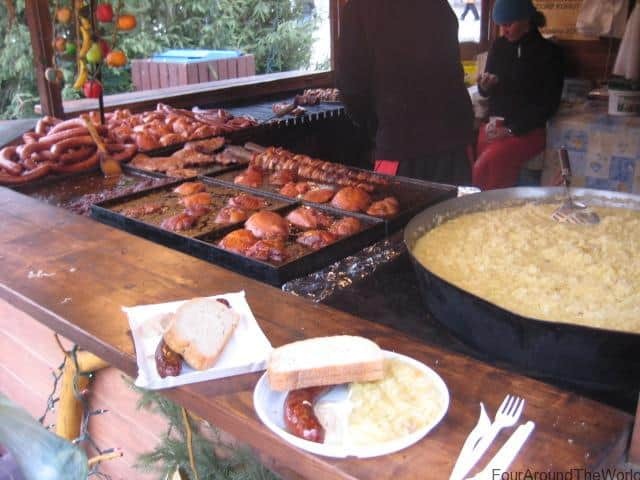 Go there with the intention to eat and make the most of the delicious must try food in Poland. A trip to Poland would not be complete without a generous serving of pierogi with a side of kapusta, followed by a slice of makowiec or a paczki. Polish food is largely carb loaded and hearty. After all, it can be downright freezing during a Polish winter. There is lots of meat, cabbage and potatoes, usually served with bread. Very filling and perfect for warming you from the inside out during a cold winter in Poland. Polish food is definitely amongst my favourite cuisines in the world. Why go to Poland if not to enjoy the food. Although I will admit Polish dessert is not always my favourite, with the exception of their gofry street stalls all around the bigger cities. They are essentially a waffle with nutella or flavoured topping on top and whipped cream. So good. The lody is a favourite for my kids and husband though… ice cream! Poland has some of Europe’s most beautiful town squares and old town areas. Krakow boasts Europe’s largest town square and should be high on your list of best places to visit in Poland. Each old town area comes with it’s own unique history and sights to see. The old town in Warsaw was completely destroyed during WWII, but you wouldn’t know it. The reconstructed version is still a must see place in Poland, and the atmosphere in the area is usually very lively, with lots of things going on all year round. We have visited in both summer and winter, and have loved both equally. 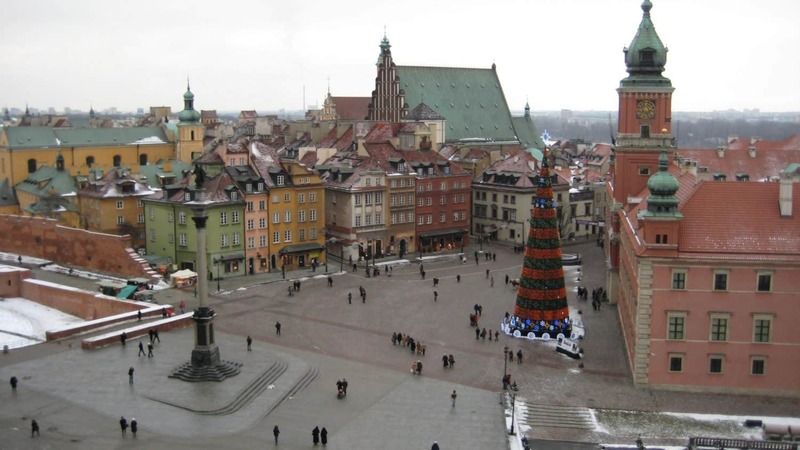 During December you will usually get to experience the Christmas Markets in Poland around the town centres. This is not to be missed. In the summer, often there will be performances and plenty of outdoor dining opportunities to enjoy the town square activity. Beautiful buildings to see. While talking about the old town areas and the surrounding sights, a mention of the architecture in Poland is essential. Think brightly coloured buildings constructed in the 17th century or earlier, or elaborate churches and palaces. One unique building that has become a more modern Polish attraction is the Crooked House in Sopot – Krzywy Domek, which serves as a place of business, shopping and dining. There isn’t anything spectacular to see inside. There is a bar and a few shops, but otherwise it is simply the design that draws the crowds. Sopot as a whole is a beautiful city though. Even more of a stand out are the quaint wooden houses in the mountains, such as those throughout Zakopane, with their pointed roofs and window shutters. Zakopane feels like a storybook village, still a perfect example of traditional mountain life in Poland. It is a popular location for winter sports, bordered by the Tatra Mountains, with plenty of ski slopes and snowboarding opportunities. It is just as beautiful in the other seasons though. 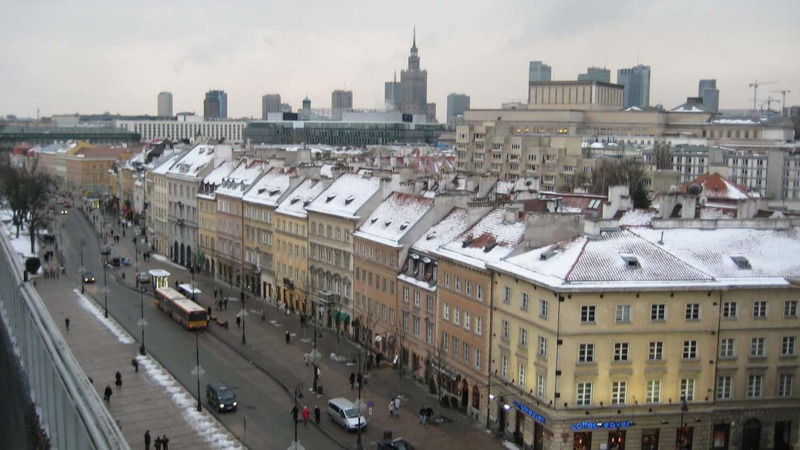 Visit Poland for an affordable holiday destination in Europe. The currency in Poland is the Zloty and chances are your dollar will go a long way. For us, even with the current poor state of the Australian dollar compared to the Euro or the US dollar, we still get about 3 Zloty per Aussie dollar, which is a far less painful conversion than most places in Europe. You can enjoy a whole lot during a holiday in Poland for a lot less. That alone is a pretty great reason to visit Poland. In saying that though, of course the food, drink and accommodation in the big city hubs of places such as Warsaw and Krakow are more expensive, however not totally unreasonable. Views you will want to stop and take in for hours. So we have covered off on the remarkable buildings, town squares and old man-made sights to see in Poland, but the natural scenery is pretty amazing too. Mountainscapes, forests, lakes and don’t even get me started on how beautiful Poland is with snow covering every outdoor surface. The natural scenery is one of the biggest reasons to go to Poland. Especially when you are getting away from the big cities and into the great outdoors. Cities such as Bialystok in North Eastern Poland are known for their high air quality, with so little industry near by to pollute it. So breathe it all in! And while it certainly isn’t the first thing you think of for a visit to Poland, but there are also beaches along the Baltic Sea well worth a visit, if you are wondering what to see in Poland. Okay so this may be part of Poland’s natural attractions, but the Tatra Mountains, bordering Slovakia in Poland’s far south are stunning and they deserve a mention of their own. The best place to enjoy the views are from Zakopane, which is also the perfect winter holiday destination in Poland. It provides easy access to the mountains to hike, ski or take in the sights from above. Kasprowy Wierch is by far a visit worth making. Catch the cable car up the top. Tradition is not lost in Poland. Unlike some of the more westernised and modern parts of Europe, you can guarantee plenty of tradition during your visit to Poland. Being such an old country, the traditional way of life is still valued and it can be seen in the food, the culture and the behaviour. There are strong family values in Poland and reputations to uphold. They are a proud nation. That’s not to say Poland doesn’t have all the modern facilities you may have come to expect. It does. Warsaw is the perfect contrast between traditional old town and modern development. Polish people are incredibly polite and friendly. Expect to be welcomed and treated well, which makes your Poland holiday the perfect option if travelling with kids. While like any country there is petty crime, such as pickpocketing on occasion, if you’re wondering is Poland a safe country to visit, overall it is and we have never once felt threatened or at risk on any of our visits to the country. You will feel comfortable walking down the street with your family in general. Of course it always pays to stay alert wherever you are, however Poland is a great place to visit if you are looking for somewhere low risk. Poland does alcohol quite well! This may be a little less family travel focused but when you visit Poland, you need to try the vodka. It’s tradition! Although perhaps don’t try and compete with the locals in a drinking contest. They sip their vodka like water and can throw back their beer as well as most Europeans. What does help though is filling your stomach with plenty of that hearty Polish food, since it seems to absorb the alcohol very well. If you are looking for something that won’t burn on the way down, the Soplica flavoured vodkas are our favourites, as pictured above. Bring a bottle home as it makes a great souvenir or gift. You won’t run out of things to see and do! Poland is home to a large number of UNESCO World Heritage sites, including Krakow’s old town, Auschwitz – Birkenau and the Wieliczka Salt Mines. There are many others as well, all well worth a visit if you have an interest in the preservation of culture. 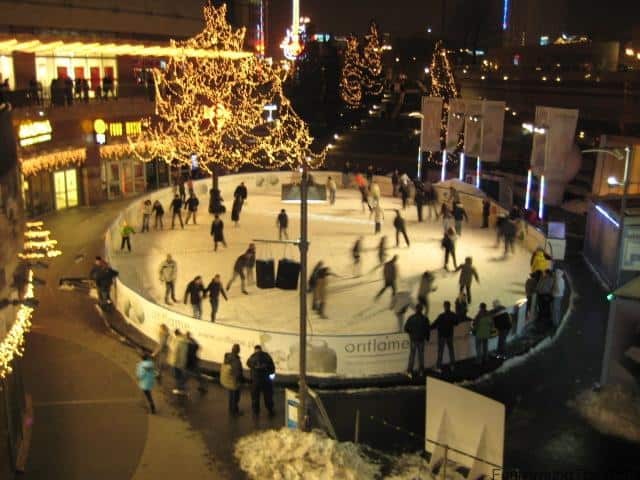 Then of course there are more modern attractions too, like ice skating rinks everywhere, the annual Christmas markets, the well preserved palaces and royal residences throughout Poland, including the massive Malbork Castle – the largest castle in the world, and less traditionally, a water park and plenty of other things to do in Zakopane with kids. Enjoy winter sports during the cold months and brace yourself for a swim in the summer. Explore beautiful parks and gardens. With all these great reasons to visit Poland, you should make your trip an extended one, however Poland is also located in close proximity to so many other wonderful European destinations. Everything in Europe is conveniently close compared to the isolation of our home country of Australia, but Poland is bordered by countries such as Germany, Slovakia, Czech Republic, Lithuania, Belarus, Ukraine and Russia. That gives you a whole lot of countries to explore, with many of them also being affordable European destinations. And if you need a bit of help working out where in this AMAZING COUNTRY you should be visiting first, The Crazy Tourist shares their top 10 places to visit in Poland, which will get you on the right track in no time!! If you are looking for somewhere a little more off the tourist track, check out our Bialystok guide as one of the fun places to visit in Poland. Have you been to Poland? Tell us your favourite Poland vacation spots! I work with someone from Poland which interested me in Poland. I’m curious, is it easy to eat traditional food there without eating meat? I eat dairy and eggs but not meat. They are big on their meat and carb loaded food, but in saying that there are also a lot of vegetarian options with veggies as well, so you would definitely find non-meat dishes to eat. Traditional pierogi does not have meat, but there are varieties that do, as just one example. Tatra Mountains are amazing. I enjoyed Zakopane so much in the wintertime. Oh, and the food is incredible. Never in my life have I eaten so tasty meals. Gosh, it all reminds me of the time when I was studying in Krakow. Food there was also great – I mean pierogi, zurek in bread and other stuff. I used to discover cool restaurants, yes, I’m a foodie 😉 and I write on culinary topics. In the meantime I studied Polish, because why not? I chose Prolog: http://polishcourses.com/. I totally liked it. Many people choose to visit Polish for tourist. Nevertheless, more and more popular becomes the typical medical tourism. In such places as the American Clinic, which is a part of Medicover Hospital in Warsaw, anyone with insurance in their country can benefit from treatment. The staff working there is multilingual, and what’s more, each patient receives there his own tudor, who accompanied him throughout the treatment process. Guests can also order the translation of medical records before returning to the their country. I am polish. I live in Poland. Come and see, you cangaroos. Additionally – almost every youngster speaks english good enough, to understand Your needs. Great post! I love Poland and for me the main reason to visit it is food. I don’t know how Polish people do this, but their cuisine is like ultimate comfort food for me:) I could eat Polish food everyday, but I like the authentic one the most. My number one dish are definitely pierogi, they are incredible. The best one I have had so far were in restaurant in Warsaw called the Akademia. This place specializes in Polish cuisine but perfectly combine it with more modern European flavors. Everything I tried there was delicious, but pierogi were excellent! I hope to go there again quite soon. My mother in law makes the best pierogi. So lucky we get to enjoy traditional polish food here. And I agree… it’s the best comfort food. I always eat so much in Poland or at family dinners with the in laws! Such a wonderful insight you have right here! Many thanks for sharing it!